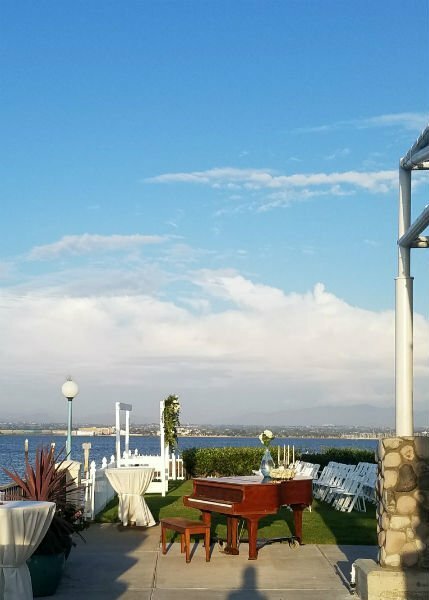 This weekend I had the honor of being a beach wedding pianist for Kristina and Adam’s beautiful wedding in the very beautiful Coronado Cays Yacht Club. For instance, how can you not love a wedding right on the ocean, with a grand piano? First, I mean right on the ocean with the ocean all around in this fantastic venue with a great piano and a lovely hand picked music selection. Now, Kristina and I worked on her awesome idea to have one song for the whole processional. Initially we broke it into parts and then as soon as everyone else was at the “altar” pause and then….the most upbeat part of the song for the “Here Comes the Bride” part and I think it just worked so great. Also of note, the song ” Strawberry Swing” is by Coldplay and one of their more “CD tracks”. But it is simply a gorgeous song and in my opinion just perfect for the processional. And how can that happy song not bode well for the new couple’s future journey! 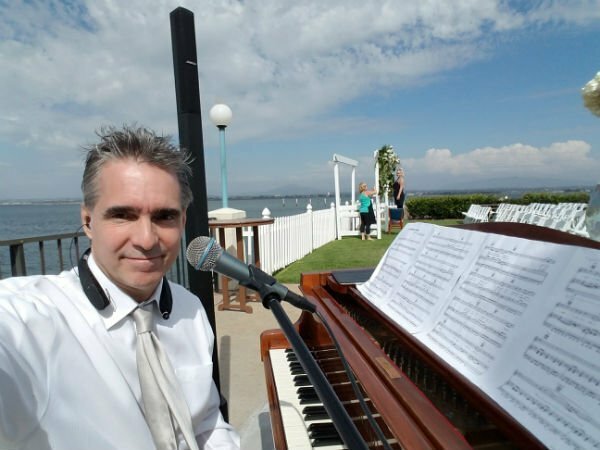 Contact a Fantastic Beach Wedding Pianist! Contact me text, email, phone contact form.. what ever works for you.